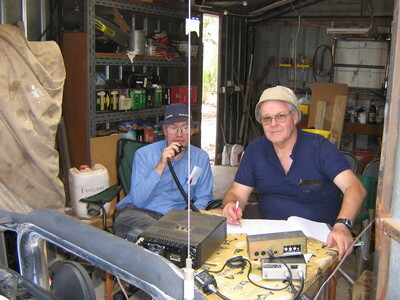 Hosted by Barry VK5ZBQ and his wife Shirley. About 50 people attended. 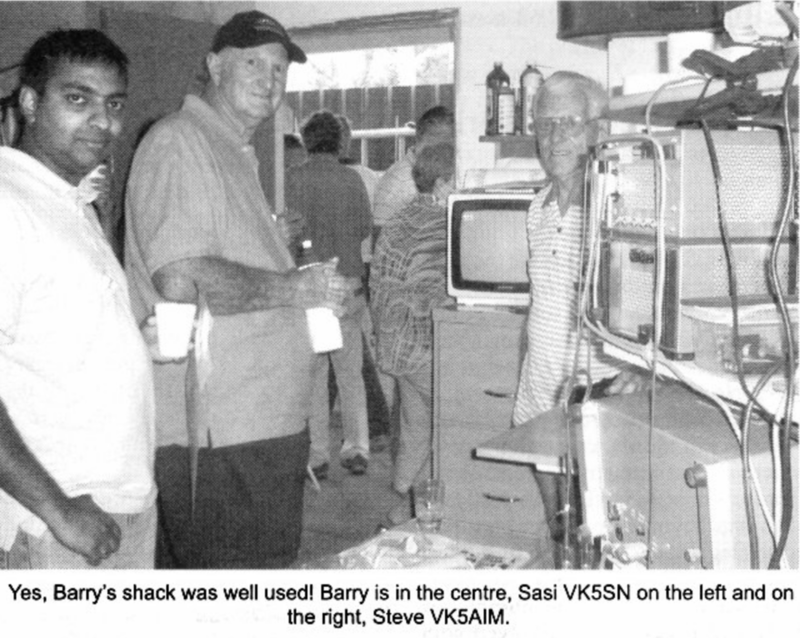 Barry's shack was required when the rain came. A simple frequency counter, conducted by Graham VK5ZFZ. 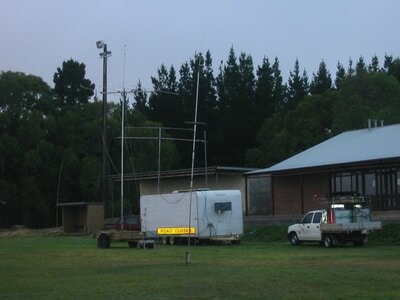 This was held at the Westbourne Park Hall, Goodwood Road. 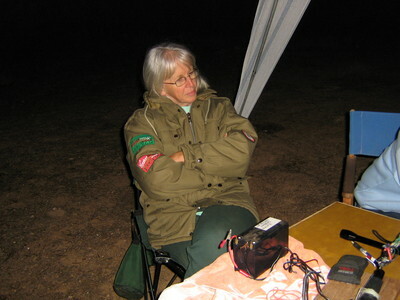 The October meeting was a 'test your gear' night. 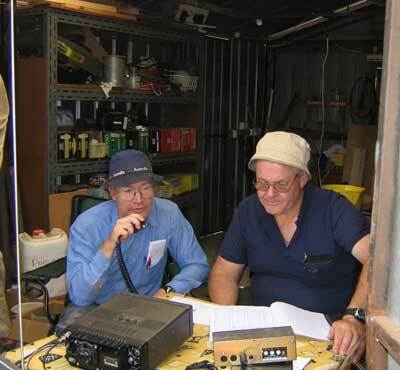 Barry VK5ZBQ and several others brought along test equipment so members could see just what the rigs they were using, or the projects they had built up, were actually doing. 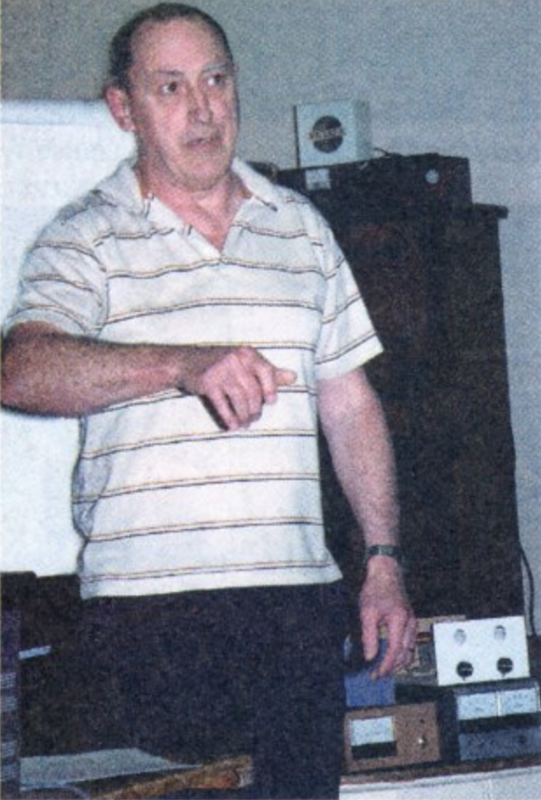 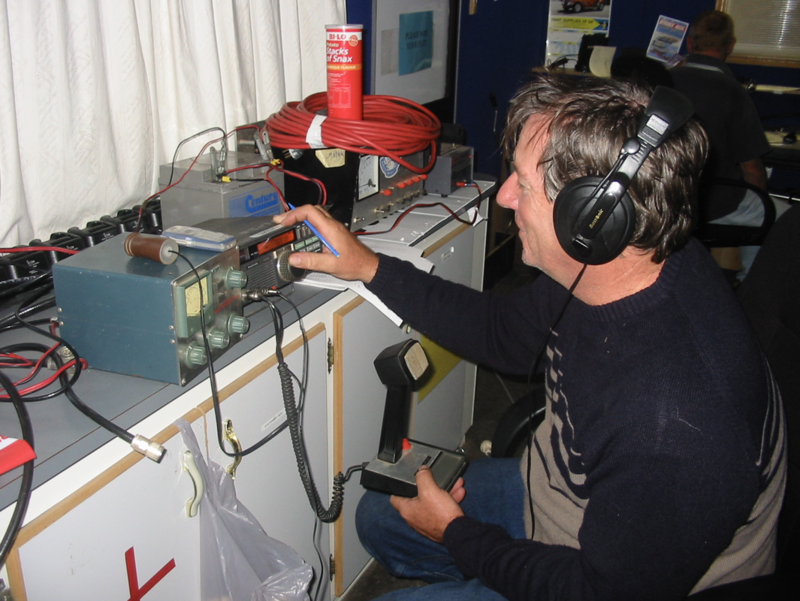 The Ampliphase System, Graham Dicker, VK5ZFZ. 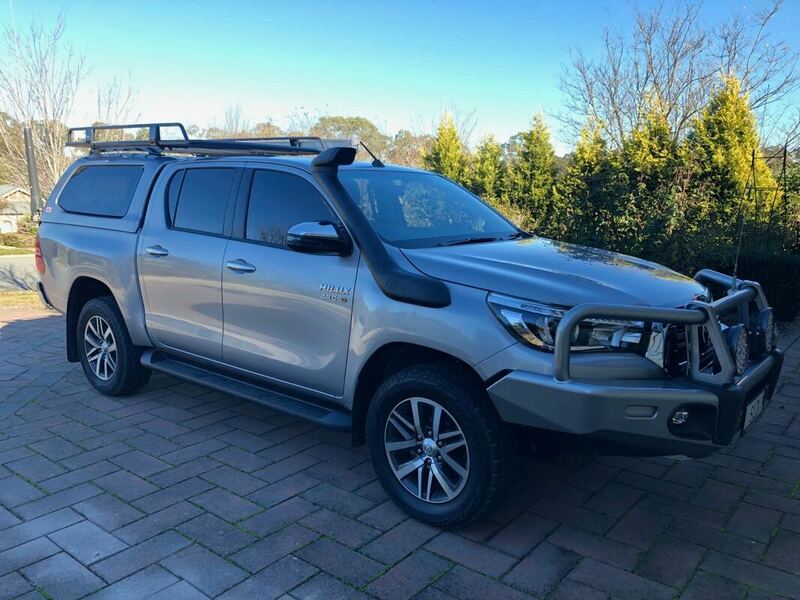 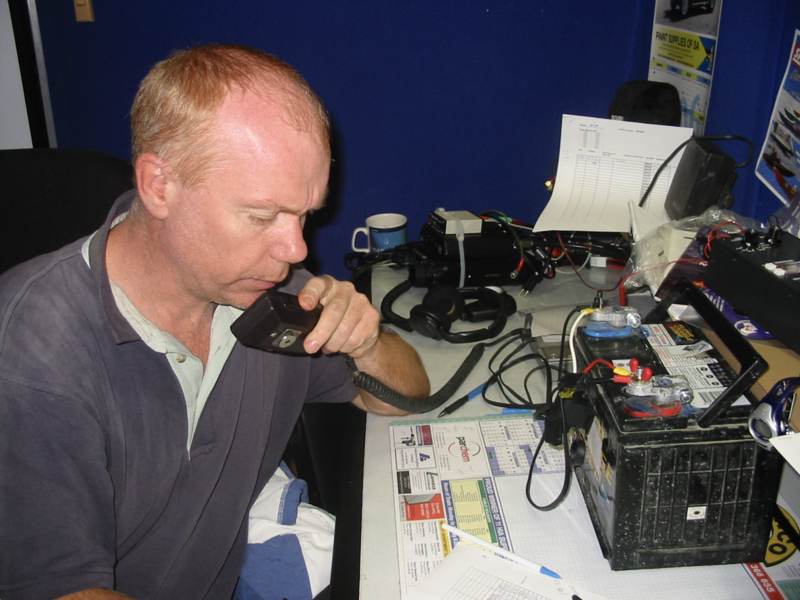 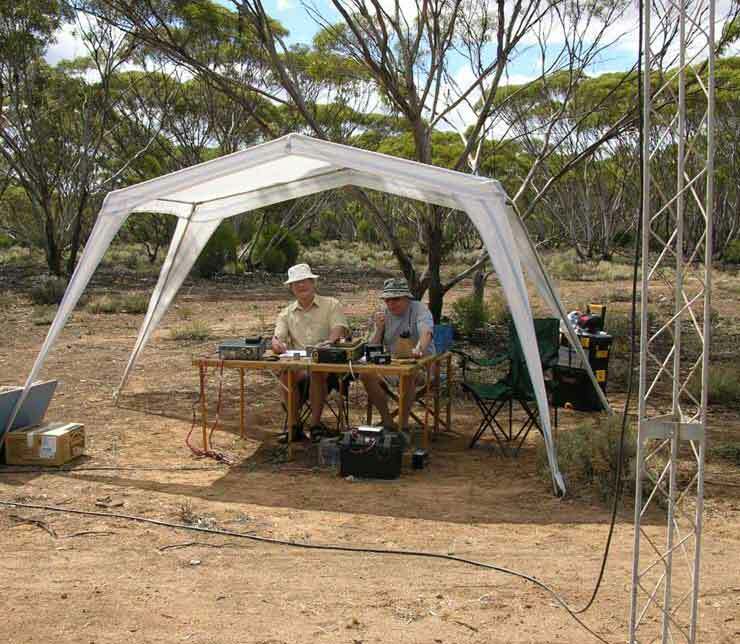 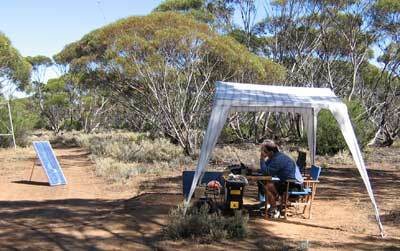 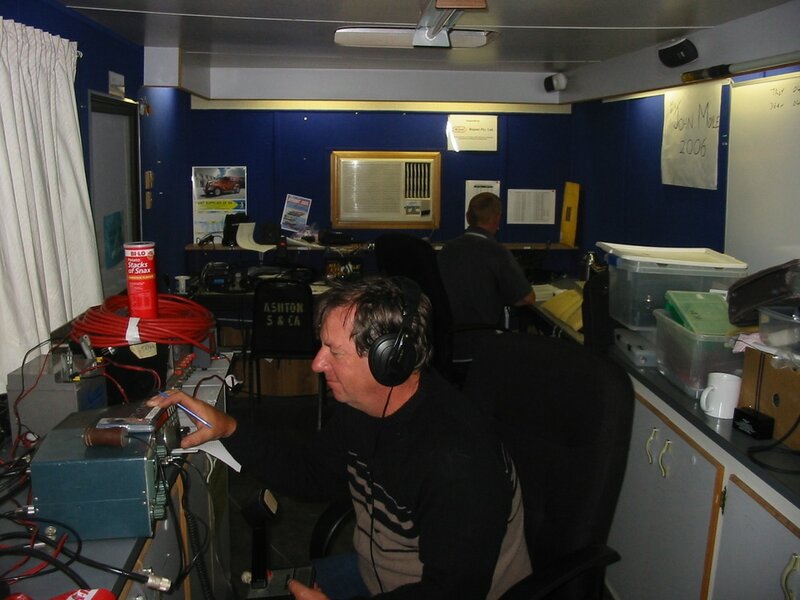 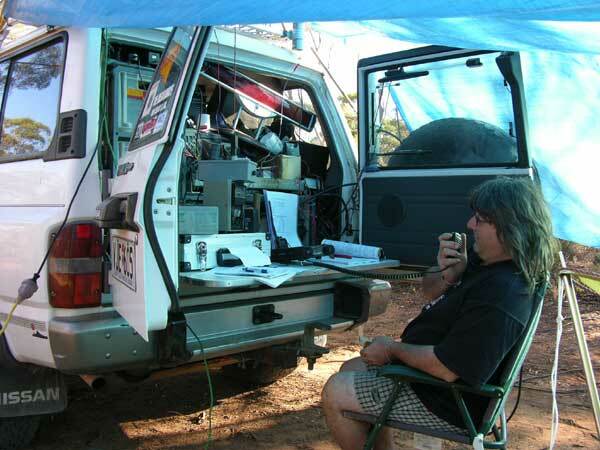 Over the Horizon Radar, Keith Gooly, VK5OQ. 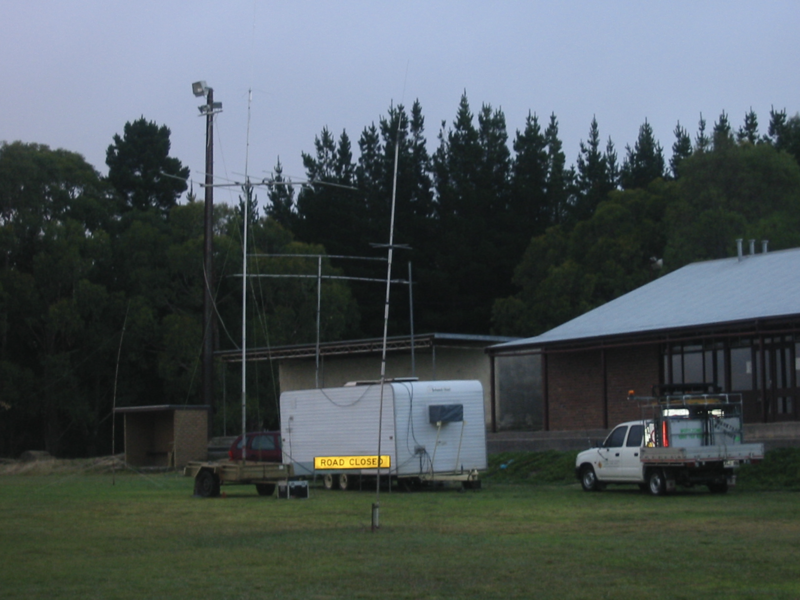 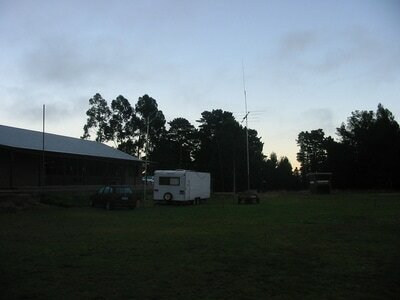 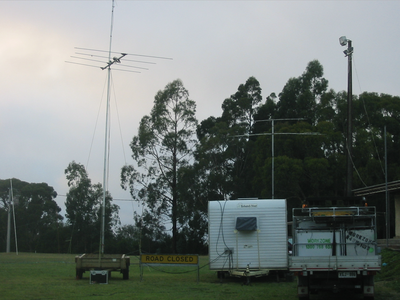 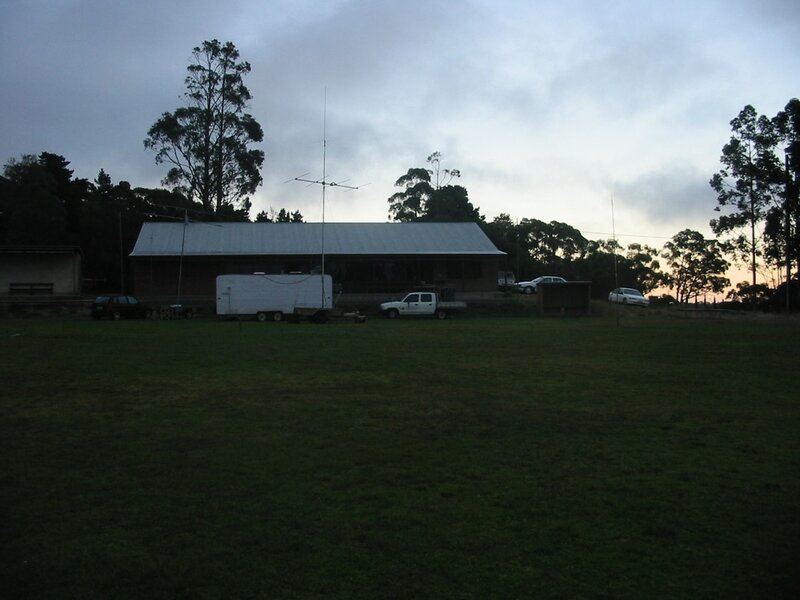 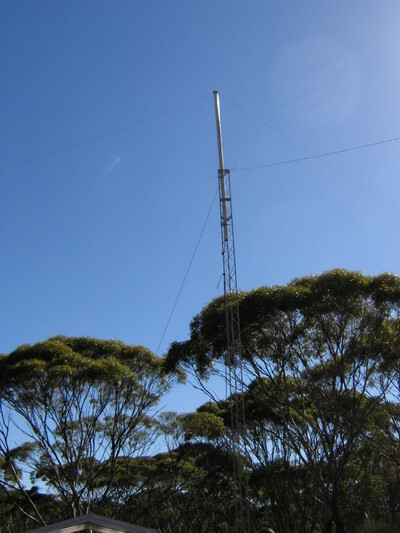 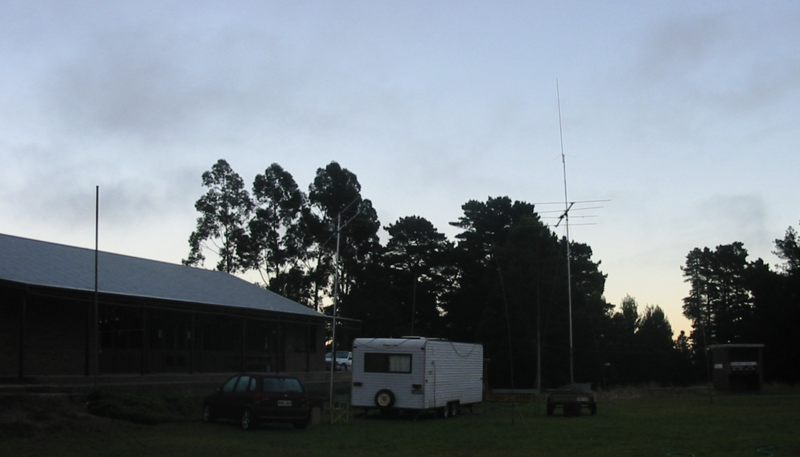 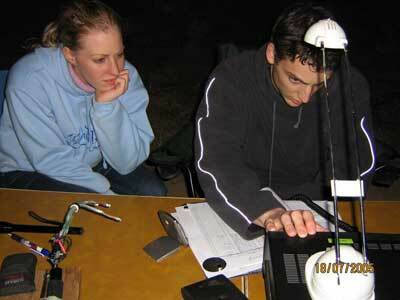 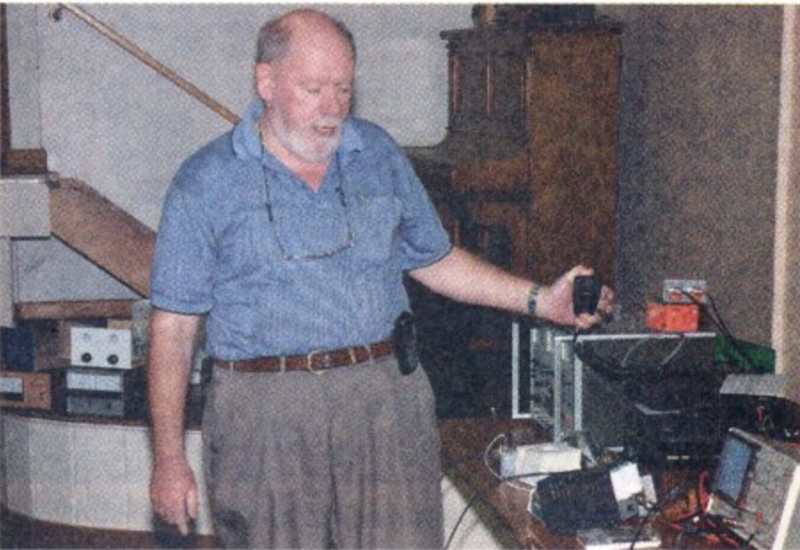 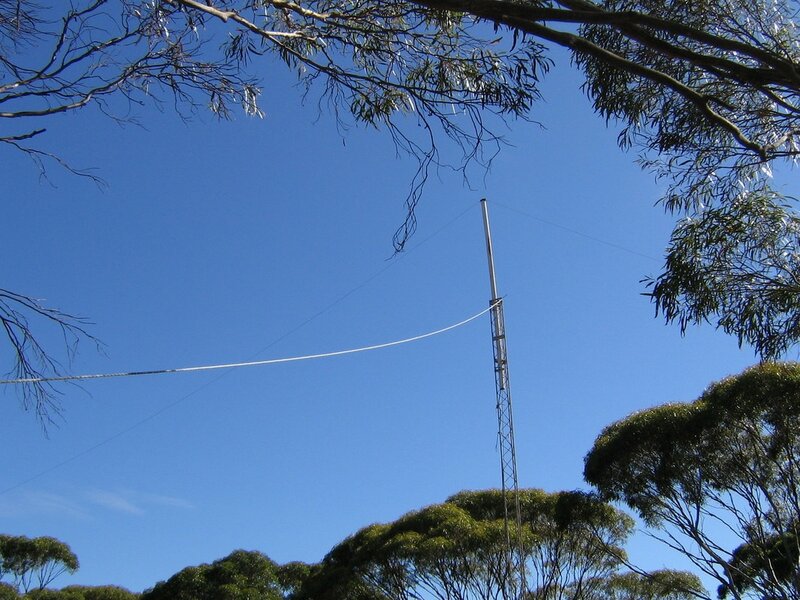 Broadband Power Line (PBL) Communications experiments in Tasmania, by Julian Giles­Clark, VK7TW. 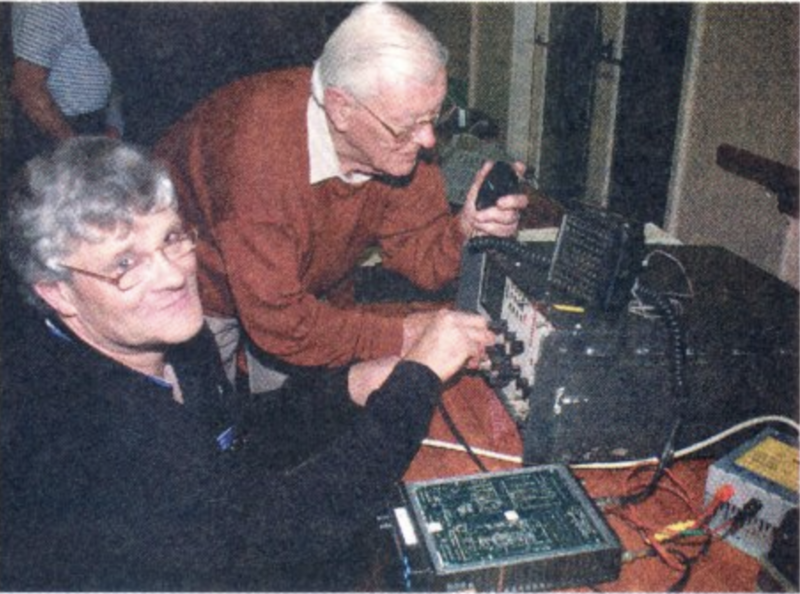 Electro Quantum Dynamics, by Allan Dickson, VK5TC and Construction of the Elecraft K2 Transceiver, by Hans Smit, VK5YX. 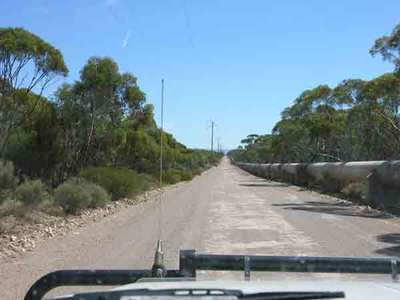 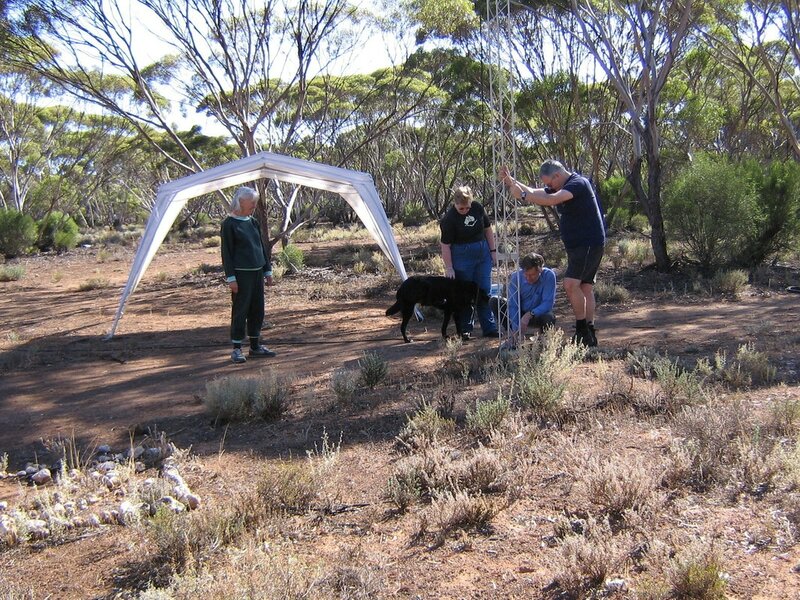 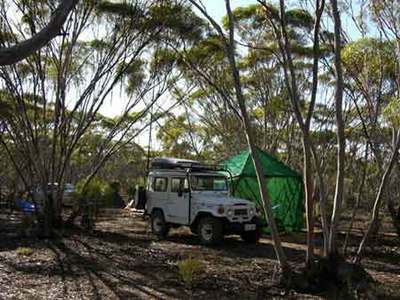 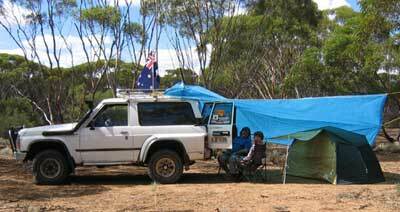 This was held at 'Womberoo' in the Murray Mallee, about 130 km north east of Adelaide. 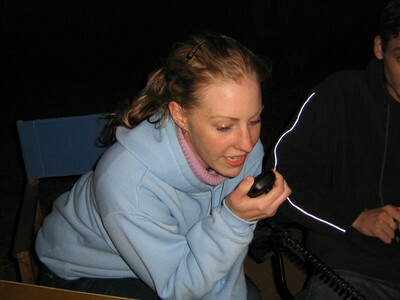 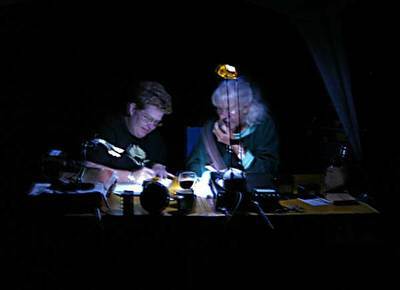 The South East Radio Group held its annual gathering at the home of Tony (VK5ZAI) and Jill Hutchison near Kingston, S.E., in late March. 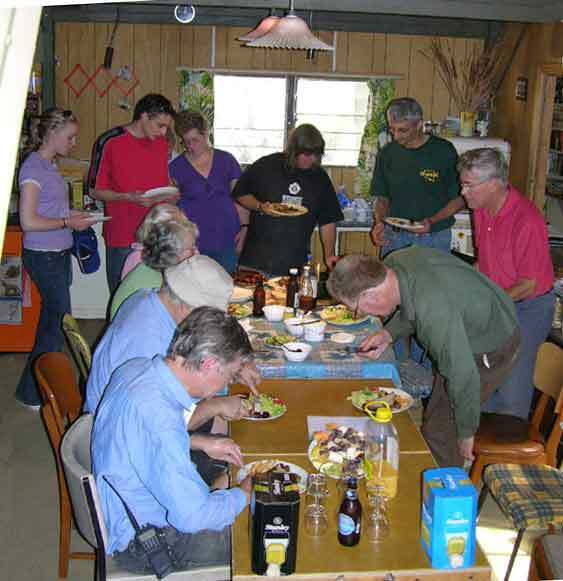 AHARS representatives: 5th from left – Mary (VK5AMD) from Bordertown, in black top; centre front Deidre and John Elliott (VK5EMI), kneeling; Lesley and Hans Smit; and Trevor Quick (behind, in green cap and grey shirt). 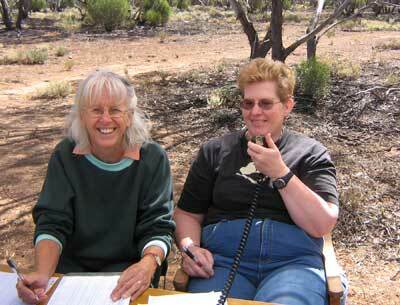 Jill Hutchison is behind another Jill who is in the red top. 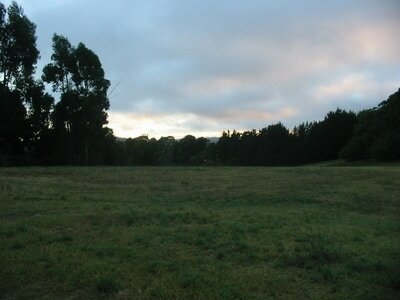 Tony is not visible. (He suspects that he may have taken the photo). 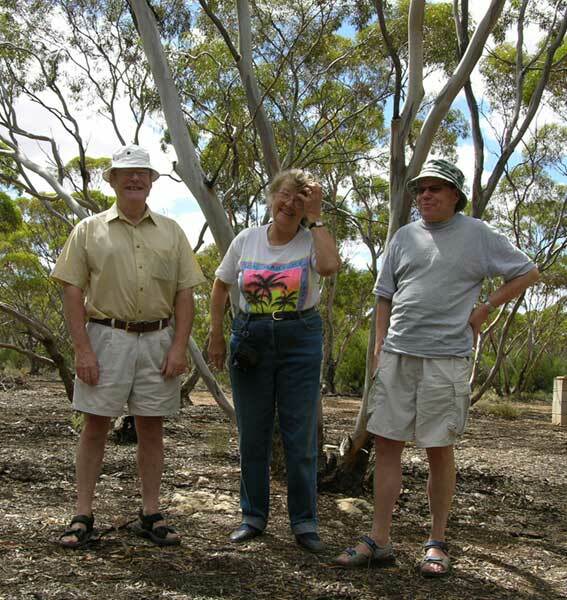 Near left, at front: Doug, VK5GA, from Paringa, in grey shorts and white shirt, and then Noel (VK3FGN) in grey shirt.